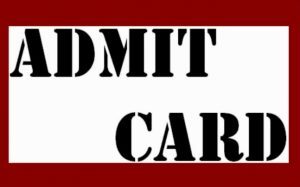 GATE 2019 Mechanical Engineering Syllabus has been Released. IIT Madras issues the syllabus of GATE 2019 for Mechanical Engineering before the exam so as to know what to prepare. The GATE syllabus 2019 for Mechanical Engineering will comprehend the section-wise topics from which questions will be probed. 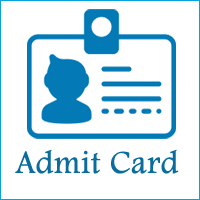 In all there remain four sections for the Mechanical Engineering paper – Engineering Mathematics, Applied Mechanics and Design, Fluid Mechanics and Thermal Sciences, and Materials, Manufacturing and Industrial Engineering. 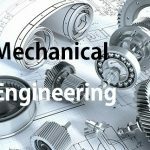 GATE 2019 Mechanical Engineering Syllabus has been Released. Click here to Download Pdf. Differential equations: First order equations (linear and nonlinear); higher order linear differential equations with constant coefficients; Euler-Cauchy equation; initial and boundary value problems; Laplace transforms; solutions of heat, wave, and Laplace’s equations. Vibrations: Free and forced vibration of single degree of freedom systems, an effect of damping; vibration isolation; resonance; critical speeds of shafts. Machine Design: Design for static and dynamic loading; failure theories; fatigue strength and the S-N diagram; principles of the design of machine elements such as bolted, riveted and welded joints; shafts, gears, rolling and sliding contact bearings, brakes, and clutches, springs. Thermodynamics: Thermodynamic systems and processes; properties of pure substances, the behavior of ideal and real gases; zeroth and first laws of thermodynamics, calculation of work and heat in various processes; second law of thermodynamics; thermodynamic property charts and tables, availability and irreversibility; thermodynamic relations. Applications: Power Engineering: Air and gas compressors; vapor and gas power cycles, concepts of regeneration and reheat. I.C. Engines: Air-standard Otto, Diesel, and dual cycles. Refrigeration and air-conditioning: Vapour and gas refrigeration and heat pump cycles; properties of moist air, psychrometric chart, basic psychrometric processes. Turbomachinery: Impulse and reaction principles, velocity diagrams, Pelton-wheel, Francis and Kaplan turbines. Casting, Forming and Joining Processes: Different types of castings, a design of patterns, molds and cores; solidification and cooling; riser and gating design. Plastic deformation and yield criteria; fundamentals of hot and cold working processes; load estimation for bulk (forging, rolling, extrusion, drawing) and sheet (shearing, deep drawing, bending) metal forming processes; principles of powder metallurgy. Principles of welding, brazing, soldering and adhesive bonding. Machining and Machine Tool Operations: Mechanics of machining; basic machine tools; single and multi-point cutting tools, tool geometry and materials, tool life and wear; economics of machining; principles of non-traditional machining processes; principles of work holding, the design of jigs and fixtures. If you any query regarding GATE 2019 Syllabus for Mechanical Engineering, you can ask your query leave comments below.